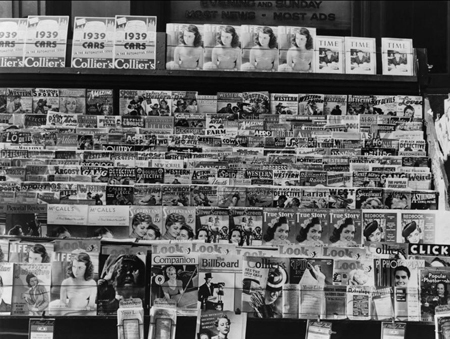 It may be unimaginable to conceive of how influential the modern, mass-market periodical was to American, British, European, and Anglophone cultures, just as it is impossible to gauge how instrumental it was in constructing our literary histories, for we have already lost ephemeral albeit integral aspects of 20th-century literary production. 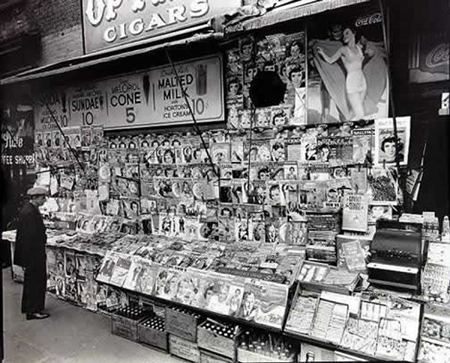 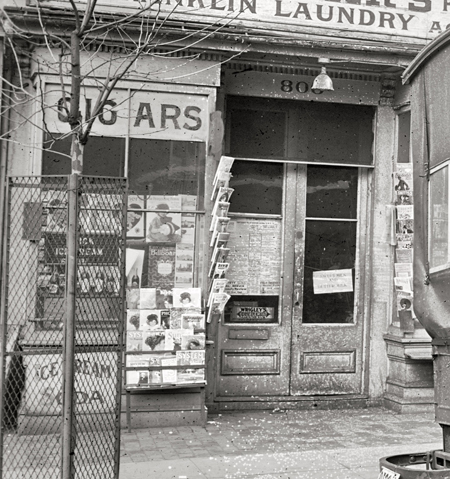 One of the most important and visual of these aspects was The Newsstand (a.k.a. 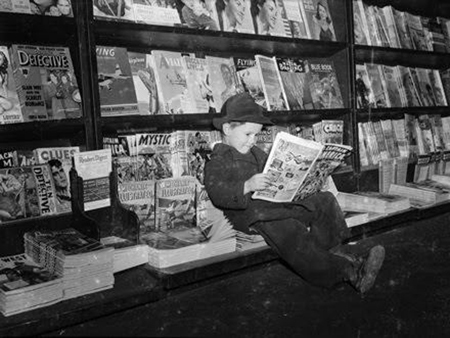 Bookstall, or Kiosk), the literary marketplace for a majority of modern readers for generations. 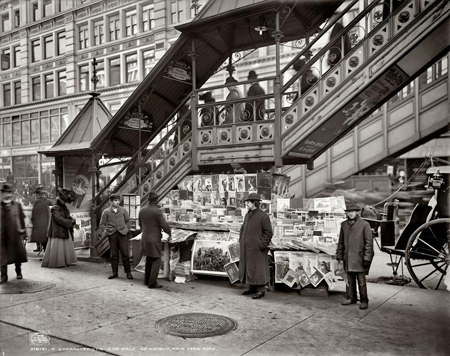 It was a vivid, colorful, and constant part of daily urban life in countries around the world. 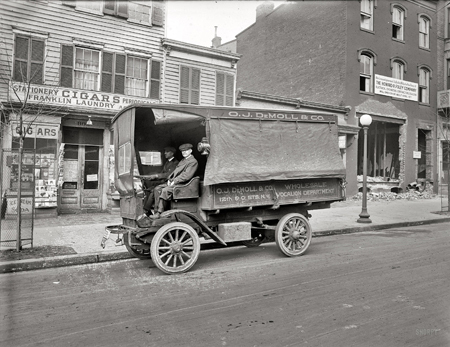 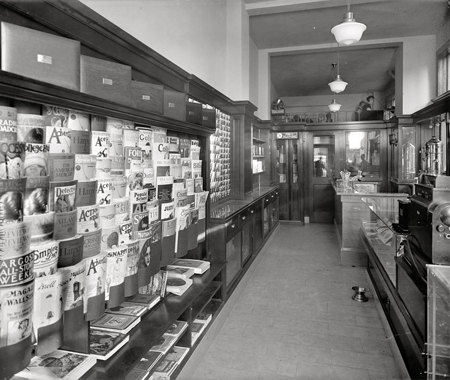 Yet there are scant records of this important public institution in archives, especially in comparison to histories of the bookstore or library (for example, there are incredibly few photographs of newsstands, and even fewer in color). 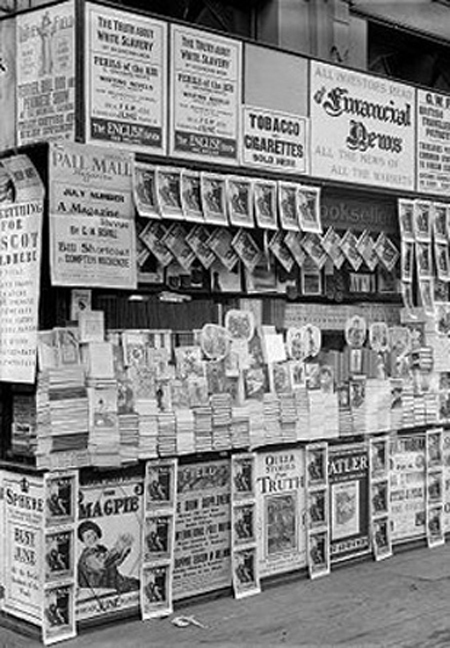 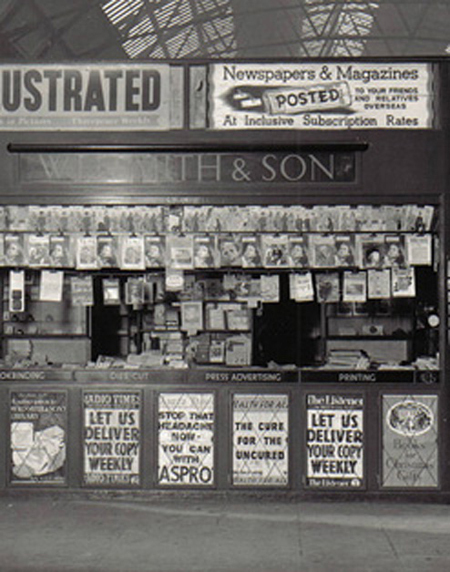 The images below show examples of newsstands and bookstalls in the US, Britain, and Australia from the first half of the 20th century. 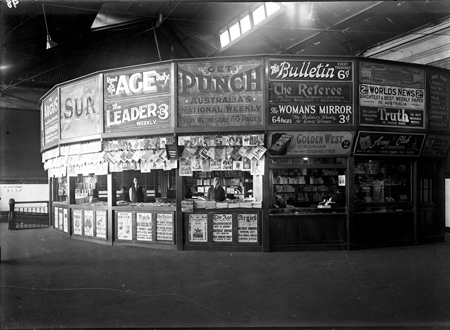 Dates range from circa 1900-mid 1940s. 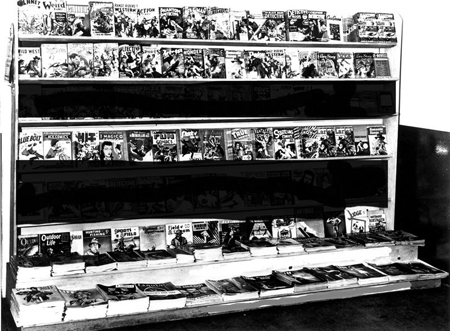 New images will be added as they become available. 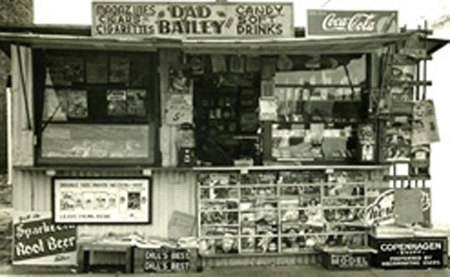 For more information, see David Earle's Virtual Newsstand: 1925, a student-centered, digital preservation project at the University of West Florida that reproduces the broad, and eclectic variety of magazines actually appearing on US newsstands in 1925.